This stunning Cornish Tartan Silk Bow Tie is available in either Cornish National or Cornish Hunting Tartan. It is made from rich vibrant hand woven dupion silk, which is medium weight. 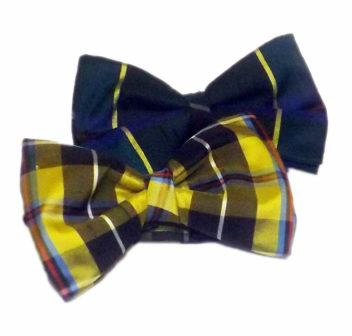 The Cornish Tartan silk bow tie is adjustable and ready to wear, whenever you are! An excellent accessory for that special occasion and a great conversation starter!